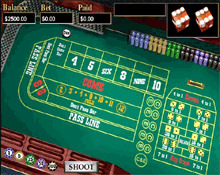 Play craps like you would in Las Vegas! Try your luck and learn the game of craps. Best of all, you can play without losing any real money.